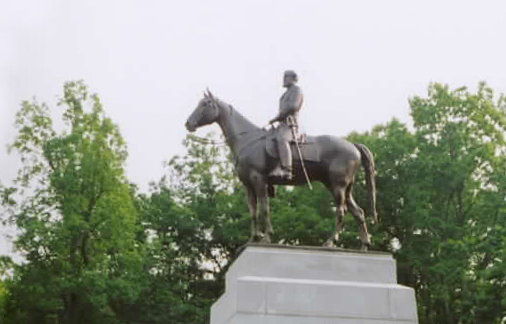 Robert E. Lee on Traveller, by Frederick William Sievers, Gettysburg National Battlefield. “We think we are whol­ly supe­ri­or peo­ple,” said the Civ­il War his­to­ri­an Shel­by Foote. The 50th and 75th Anniver­saries of the Civ­il War Bat­tle of Get­tys­burg were poignant, inspir­ing moments. The words spo­ken of those occa­sions give cause to won­der. In the wel­ter of emo­tions, have we for­got­ten what we need to remem­ber?